It’s important to take care of your pet’s oral health – which is why we offer free dental advice and urge you to be vigilant when looking after your pet’s teeth. Introducing dental checks and scale and polish treatments into your pet’s routine is vital to ensure they stay fit and healthy. We welcomed two dogs, Tinka and Kitty, to the new dental suite at our Dewsbury practice following their annual health check and vaccinations with vet Claire McAneny. Claire examined both pets’ mouths and gave advice on what treatments may be appropriate. 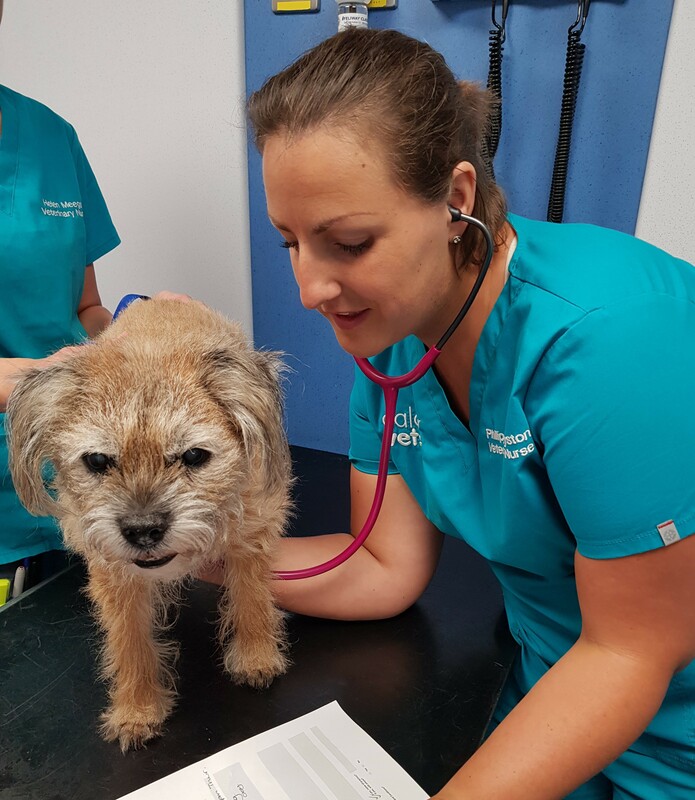 Tinka, a 14-year-old Border Terrier, had a pre-anaesthetic blood test before her procedure to ensure her liver and kidney functions were within the normal range. She also received intravenous (IV) fluids to support her throughout the procedure. Tinka had four teeth removed, followed by a scale and polish, as it’s important for elderly dogs to have these treatments to help them eat and play properly. 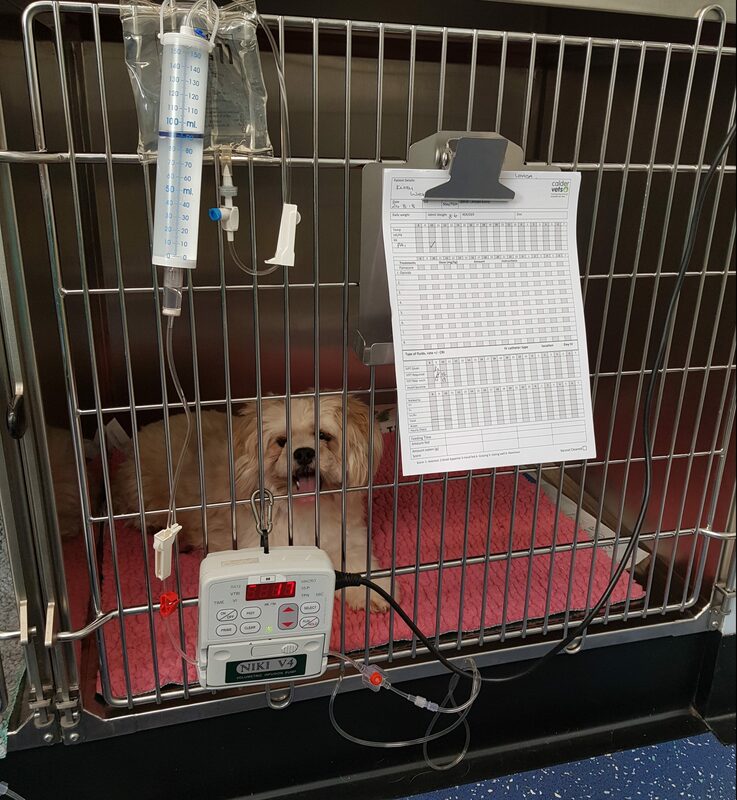 Kitty, an eight-year-old Lhasa Apso, also had a pre-anaesthetic blood test and received IV fluids during her scale and polish. Luckily for Kitty, she did not have any tooth extractions. Unfortunately, dental disease is extremely common in pets due to a combination of dietary and genetic factors. It’s important to look after your pet’s teeth on a daily basis and also have regular dental check-ups with your vet. Plaque can build up on animals’ teeth and this contains a complex film of bacteria which cannot always be seen by the naked eye but can be damaging to gums and roots. This eventually causes gum disease and smelly breath and can also enter the animal’s blood stream, causing problems with their internal organs. For cats and dogs where tartar is already present, a scale and polish under a general anaesthetic is needed to remove the build-up. Here at Calder Vets, our procedures are performed under anaesthesia to ensure correct dental treatment is provided. Anaesthetic-free dental procedures are not only ineffective but can also be dangerous for your pet. Our aim is to encourage pet owners to be aware of the risks faced by animals and prevent any dental disease going forward. To find out more about our dental treatments, or to book an appointment, call 01924 465592.